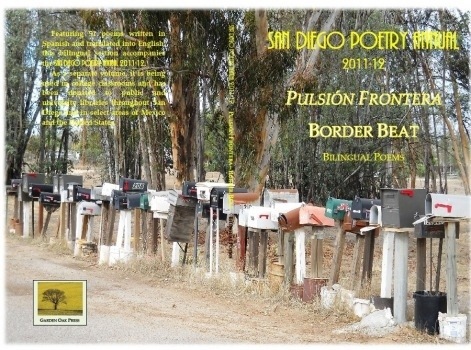 How wonderful to receive in the post this year’s edition of the San Diego Poetry Annual with Juana Adcock’s gorgeous poem Malquisto right at the front, and my English translation of it on the next page. I’m officially a translator now! It was especially exciting seeing my bio in the back in Spanish. You can buy the book here.